Here's guide of how to free download Copa America 2016 videos (final full match, highlights, theme song and more) in 720P/1080P HD from YouTube, ESPN, Yahoo! Screen etc. In order to celebrate the centenary of CONMEBOL and Copa America since the foundation in 1916, a special edition - Copa América Centenario 2016 was held from June 3 - 26, 2016 in United Sites featuring 16 teams (expanded from the usual 12). Chile defended championship with a 4-2 vitory over Argentina at Penales of Copa America 2016 final. The other big news was that Messi, the Argentina captain announced his retirment from national team which caused a hit discussion. If you would like to enjoy this amazing football tournament but unfortunately missed matches of your team, great moments and highlights in other matches etc, the videos online are the best choices to learn every second in the field. And here, I will show how to free download Copa America 2016 videos, like the final, full matches, highlights, theme song video using a great sports video downloader for helping you, a loyalty football fan, watch Copa America Centenario 2016 offline without any interruptions. 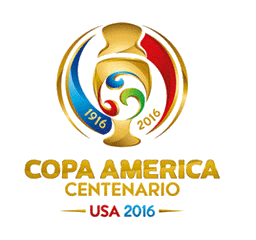 Free Download Copa America 2016 Videos? Sports sites like ESPN are absolutely the best places to garner Copa America 2016 news and highlights videos. On the other hand, the versatile video-sharing sites, for example YouTube, Vimeo, Dailymotion, grant sports category not only gathering official videos like theme song and interviews but every full match including the final, top goals, compilation of best players and individual reviews of matches. To download any interesting Copa America 2016 videos from those sites, a sport video downloader is in need. WinX YouTube Downloader is what you want. It is well developed to free download Sport videos (including Copa America 2016 videos, Rio 2016 Olympics, NBA Playoffs etc. ), music videos, movies, TV shows in 360P SD, 720P/1080P HD, 4K/8K/3D (if there is a source) from 300+ video sharing sites and keep original video/audio quality. Verified as a 100% clean and safe tool, it will never mess up your computer. 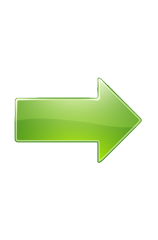 Download and install this sports video downloader. Follow the steps to start Copa America 2016 video download. Launch WinX YouTube Downloader and tap +link-shaped button on navigation bar. Search desired Copa America 2016 video (final full match video in this example) on YouTube or any supported sites. Copy and paste its URL to address bar of pop-up window. Tap Analyze button and video info will be listed. Select one result (Recommended: 1920x1080 MP4) and click OK. Tap Browse button to set target folder (hard drive or device) and click Download button to start Copa America 2016 video download. You may have transferred Copa America 2016 video to iPhone, iPad but fail to play it due to format incompability issue. If so, hit Convert Video button next to Download which will lead you to convert downloaded video to the format fully acceptable by any portable device for a smooth playback whenver wherever. ▪ Free Download SD/HD/4K/8K Copa America videos and other sports/movies/music/game guide videos from YouTube, ESPN, Dailymotion, Metacafe and more. ▪ Convert any online videos and HD movies/videos (MKV, MTS, MOD etc.) 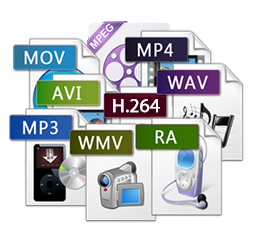 to AVI, WMV, MOV, iPhone, iPad, Android, Windows Phone (10/8), Surface Pro, Xbox, PS3/4, Kindle Fire etc, keeping crisp images and high fidelity audios of output videos.